Today I was rather pleased with my writing push because I tidied up and submitted 3 short stories to Rosemary Kind’s downloadable paying short story website www.alfiedog.com– for her consideration. Last year I was so delighted when she accepted my story for teens to put on her site and I think through practise and more practise I’ve got better at self editing, dialogue and content. It’s a long path though with a way to go. One is a murder, one is a ghost story and one is a feel good life after divorce piece set in Saltaire. Fingers crossed that Rosemary will take one of them- her window for subs closes on 1 April- so not long left to wait to find out. I went to see the huge gazillion budget ‘Beauty and the Beast‘ last night starring Hogwarts star Emma Watson, not my idea of the lead role but she did a sterling job after all. It looked stunning of course, lovely songs, touching story, a baddy to boo and a hairy hero with problems who just needs to be loved. I floated out of the cinema. It took me back 40 years to 1977 and going to see ‘The Slipper and the Rose’ with my mum. An all star British film, directed by Bryan Forbes- a version of Cinderella starring Richard Chamberlain and Gemma Craven. Similar frocks, much singing and dancing, lots of starry turns, (in support were the likes of Kenneth More and Margaret Lockwood), an abundance of warm fuzzy feelings and romance by the bucket load. I absolutely adored that film when I was 10 or 11 years old, and desperately wanted to be Cinderella. Sadly my mum died a good few years ago but she would have loved the B&B reboot. Writing is not always fun is it? 10% inspiration, 90% perspiration didn’t someone say? Well I concur. 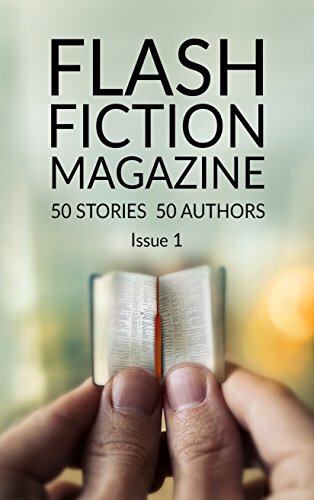 I have had a Flash fiction piece accepted by www.threedropspoetry.co.uk for their online web journal-due to be published in April- see above for title. It is a fantasy mystical piece but with a crime in it too. I have rewritten the piece several times, over several weeks- though I have stuck with the same title which came to mind quite quickly. I have changed the ending about 4 times too! Endings are the fictional bane of my life. I love the first idea when it is taking root and the avalanche of words that follows, but have to say the rewriting/editing process is not as exciting to me. Though contrarily at the end of it- well you’ve never really finished with a piece it’s more like it walks away from you into the literary horizon- I feel a sense of satisfaction when it is stronger. http://haikujournal.org/e-issues/ and I am top of the list for the month! A little bonus! Morgen Bailey, blogger and writer, awarded me Highly Commended in her monthly 100 worder competition for my piece, ‘Requiem’ which was inspired by me singing ‘Faure’s Requiem’ a couple of years ago in the gorgeous surroundings of Lancaster Priory. Morgen will also give me feedback on another piece of my fiction, which is fantastically useful. Deborah Bennison at Bennison books got in touch to say she would be including one of my poems in their charity anthology, The Book Bus out soon. Bennison books have published collections by 2 poetesses in my Otley WEA class. The links on amazon are below, both are brilliant and hugely talented at drawing word pictures with their imagery. Well the launch of the group’s anthology, ‘The Pulse of Everything’ went really well. It was held at Otley Courthouse (the arts centre). Each of us stood up to read a short extract of our work; the audience were very supportive and the evening was led by the class tutor and poet, the charismatic James Nash. It was great to see everyone there and listen to their work. There is a lot of talent in that room and so much enthusiasm for the written word. I must mention John Ellis’ new thriller out on Kindle and in paperback, set in Yorkshire- available on Amazon to buy. It is well worth checking out. a one woman show performed by writer Irene Lofthouse in the Cathedral in Little Germany, highlights the forgotten poetry/memoirs and war efforts made by a handful of Yorkshire women; one who fought as a soldier in Serbia, another who drove ambulances and died in a bombing raid in France, one who worked as a VAD; one who was friends with Arthur Conan Doyle- all wrote prose/poetry which has been ‘lost’ in the intervening century but was popular at the time. Interlaced with contemporary songs performed by Irene, this was an inspiring and engaging show with great research and use of primary sources. One of my poems will be included in the display, which will be on show in the main City Library for tomorrow and on tour for a couple of weeks around the city’s other libraries thereafter. Then there will be a poetry pamphlet published, also available in all the libraries.This initiative has been organised by the Creative writing organiser/Literacy development officer- and the brief was for poetry reflecting women’s life experiences. My sonnet is ‘Very Like Vermeer’ (which originated in my WEA class led by tutor poet James Nash). I am rather chuffed that I am part of this poetry exhibition. I look forward to checking it out when the display arrives in Bingley. http://www.404words.com/nest-of-bones/ has a new piece of flash by moi today on its site. The piece includes bones and birds, so I am in my fictional element. I originally had the seed of this idea at a writing workshop at Leeds Uni led by tutor Ebba Brooks, and called it ‘The Attic’ as a provisonal title. Since then I’ve rewritten it, edited it and shortened it- till it became ‘Nest of Bones’. Her paintings which recreate several demolished manor houses around the Halifax area, are gorgeous works of art in oil and gouache but are also brilliant evocations of these once grand ‘brass castles’ based on her historical researches. A friend of mine has bought one of the originals, High Sunderland, to hang in her cottage near Shibden. My piece is called ‘Crow’ and is exactly 101 words.